This retreat will leave you feeling refreshed and revived after indulging in rejuvenating yoga, nourishing food and the absolute best that nature has to offer! Spend four incredible days in one of the most pristine wilderness areas of the world; the Majestic Kimberly Coast. Our secluded venue is the stunning Ramada Eco Beach Resort, famous for its amazing coastline, breathtaking sunsets and natural magnificence. 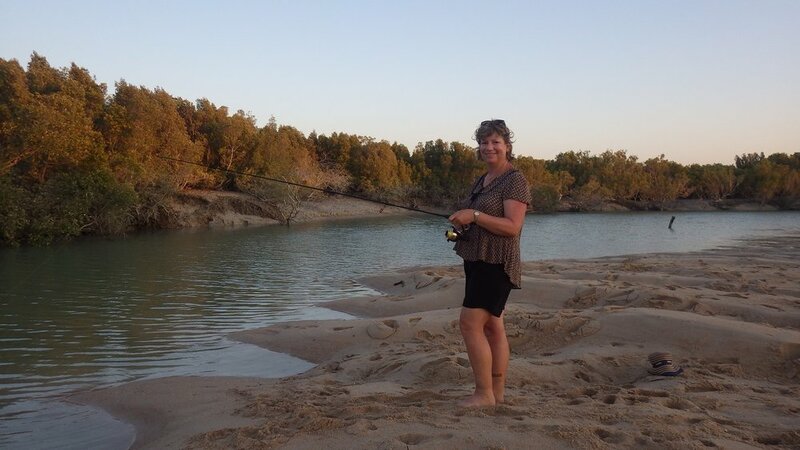 Just over an hours drive from Broome, The Eco Beach Resort is situated on the water's edge. The Eco Beach Yoga Escape has been designed to make the most of your visit to this inspiring and genuinely unspoiled part of the world, while exploring the goodness Yoga brings. This unique offering is limited to only 11 participants. Bookings are now open and we recommend securing your place early, to avoid disappointment. 4 nights accomModation in a Luxury villa or Safari Style eco tent. Twice Daily Yoga Sessions with Tash Rolfe. A Balance of Hatha Vinyasa, Yin and Restorative yoga sessions. Pranayam (breathing practices), Asana (Postures), Meditation and Yoga Philosophy each day. use of resort Yoga equipment. 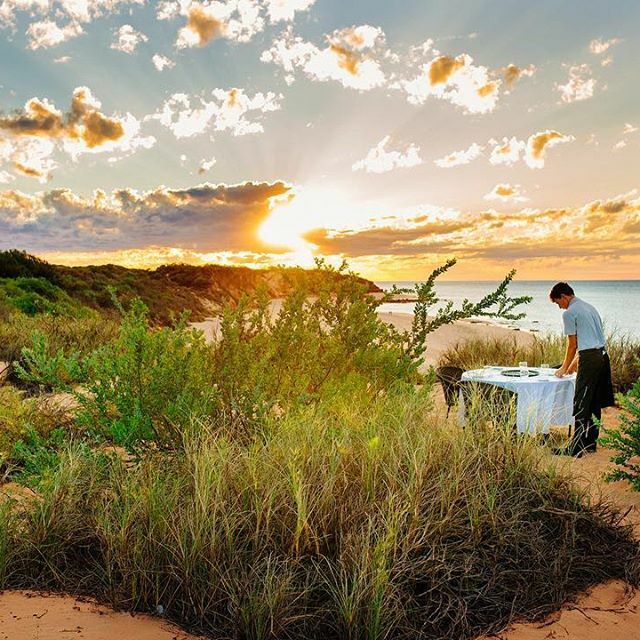 “Flavours of the Kimberley” Welcome Dinner, served by resort chef Luke. Return transfers by road from Broome to the resort (90 mins each way). Complimentary use of resort paddle boards and kayaks. Safari Style Eco Tent with King Bed. Luxury Villa with King Bed. 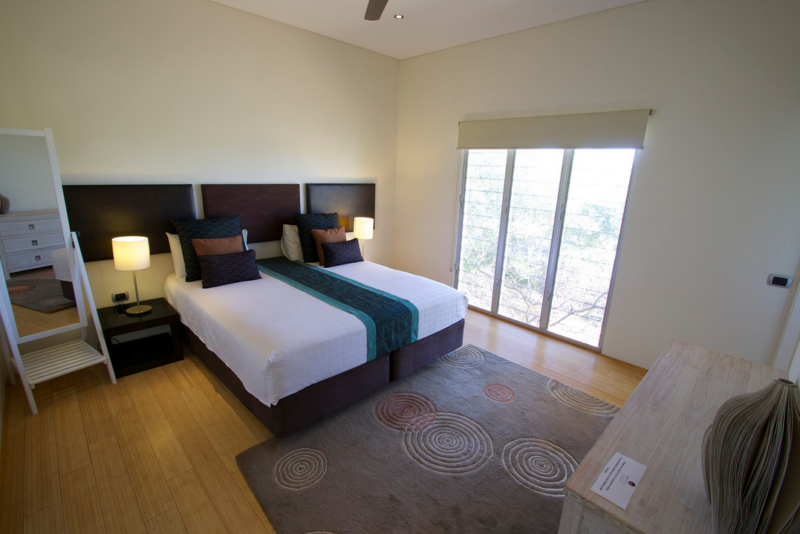 Twin Share Luxury Villa with King Single Beds. Our adventure begins when we meet at Broome Airport to travel along pindan roads to the secluded Ramada Eco Beach Resort. After we have settled into our rooms, we come together at 6:00pm for our first restorative yoga session with Tash Rolfe, to unwind the mind and body, allowing us to sink into the vacation vibe. A “ Flavours of the Kimberley” Welcome Dinner will then be served by Luke the resort chef, giving us the chance to make new friends and get to know the group. Each morning we welcome the day at 6:30am on the beach, learning and practicing meditation and pranayama (breathing techniques to purify and balance the body), for about 30 minutes, after which there is a break allowing time for a stroll or some quiet contemplation. Then, at 8:15am, we regroup for an energising yoga practice in the splendid resort yoga room (pictured here), taking in the spectacular ocean views on offer. This session is 75 minutes duration and is in the Hatha Vinyasa style of yoga. This is your holiday! So join us for as much or as little yoga as you like. It is fine to have a sleep in if you need it. Friday morning we mix things up and have a yoga adventure, meeting at 6:30am and taking our practice into the Kimberley wilderness, exploring ancient caves, rocks and coastline. A highlight of this experience is meditating in the big blue cave as Tash chants in Sanskrit. Jack's Bar & Restaurant has an amazing menu, full of diverse culinary delights that you can explore for breakfasts, lunch and dinner, much of which is sourced from the resort's extensive organic gardens. While food is not an inclusion of this package, the restaurant’s offerings are reasonably priced and are sure to keep you nourished. Picnic Hampers can also be arranged and the chef is delighted to cater to all dietary requests. Self Catering is also an option and supplies can be purchased at Broome supermarkets prior to transfer to the resort. Afternoon yoga brings us together at 3:15pm, for a cooling yoga practice in the resort yoga room. We begin with a workshop exploring an aspect of yoga philosophy, followed by 75 minutes of gentle yin yoga or restorative yoga. These sessions conclude in time for you to enjoy breathtaking Kimberley sunsets over the turquoise waters of the Indian Ocean. Between yoga sessions, our days are our own and there is plenty to explore together or alone! Use the resort infinity pool, have a spa treatment, take a tour, fish, walk, kayak, paddle board, explore Cape Villaret, journal, read, draw, nap in a beachside hammock under a cabana...Do What You Love! When: Tuesday 17th- Saturday 21st September, 2019. Where: Meet at Broome Airport at 2:00pm for resort transfer. Venue: Ramada Eco Beach Resort. With: Tash Rolfe; Yoga Teacher/ Host. Exclusions: Flights to Broome, meals & beverages (other than Welcome Dinner), insurance, resort activities for a fee. Capacity: Only 11 places will be offered for this unique experience. We recommend booking early to avoid disappointment. Bookings open in March 2019.